Okay, who saw this coming? I mean we all know that Porsha's daddy/husband has issues but did we really think their relationship was that bad? Former Pittsburgh Steeler Kordell Stewart filed for divorce from his wife, Real Housewives of Atlanta's Porsha Stewart on March 22nd. 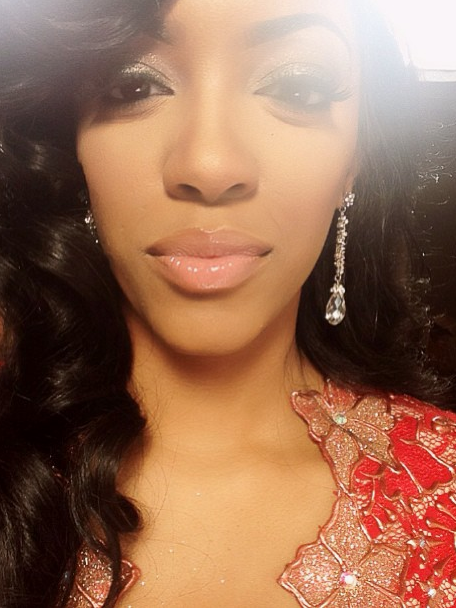 Kordell stated that the marriage was "irretrievably broken" and demanded that Porsha not be awarded spousal support. The divorce comes at a time where the Stewart's marital problems are being blasted all across national television. Porsha was criticized by her cast mates for letting her husband run the show and tell her what to do at all times. Porsha claimed that she allowed Kordell to be the king of their castle and she was happy with being the peasant. But there was a bump in the road at some point because Kordell has had enough of this ditzy broad! You know Kenya Moore is somewhere laughing her hydrogel buns off! Porsha tried to act like she was all that and a bag of remy hair weave just because she was married to an allegedly downlow ex-NFL player. Oh how quickly the mighty fall! Last night on Twitter, Porsha alluded to the fact that she would not be returning for next season's show and now we know why! Have fun wiping that egg off of your face, girl! Time to add another couple to my list of Real Housewives' divorces! What do you think about Kordell filing for divorce from Porsha?